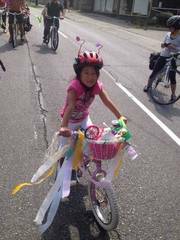 Come on down to Bike Works for a free family bike ride on Saturday, Dec 15 We'll meet in front of the Bike Works shop in Columbia City, 3709 S Ferdinand St, at 11am, before riding down to Seward Park. Once at Seward Park, we have lots of options: the Seward Park Environmental & Audubon Center is having their Winter Wonderland Family Saturday (indoors! Hot cider! Stories! Crafts!) that we can choose to enjoy, or we can play in the park for a while, or browse at the Seward Park Clay Studio Holiday Sale. Then hop on the bikes and head back to Bike Works together. The perfect way to enjoy the winter and the holidays with friends. Please RSVP so I know you're coming.